Writing the Heleum Income Report March 2018 is all about the same question whether to tear of a bandage slowly or with one quick move. As I prefer focusing on the positives in life, I chose the latter. Note: In case you are new to this, and don’t know yet what Heleum is or does, you should first read this comprehensive Heleum review. After enjoying the most successful month to date last month, developments in March only saw one direction – down. As I traveled 27 out of 31 days of the year, I stuck to the tried and tested system of February and hodled. March was the best proof that sometimes you should change a running system. And that version 1.0 of most programs still has flaws. Despite cryptos going freediving, Heleum held on to them as if those balloons were oxygen packs. Most cryptocurrencies took major hits throughout March. The Heleum team went as far as explaining their strategy of clinging to cryptos in their knowledge base. It still doesn’t make sense to me. 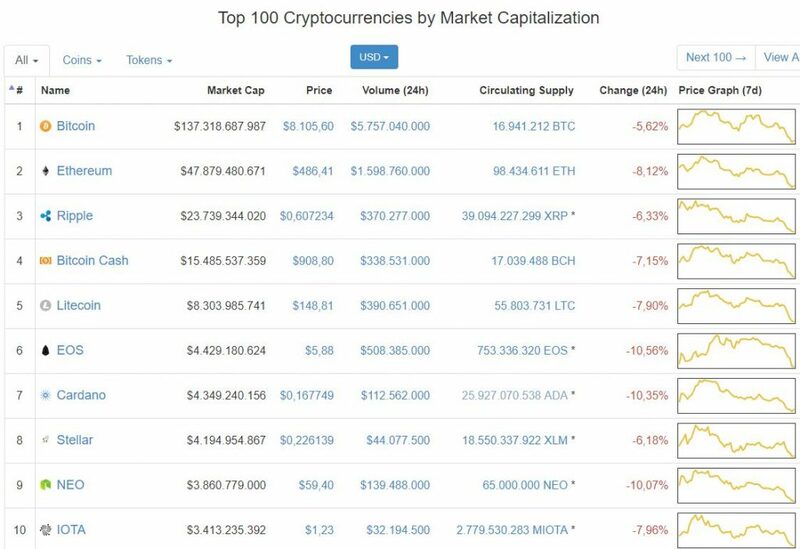 Top 10 cryptocurrencies on March 27, 2018. Screenshot from coinmarketcap.com. 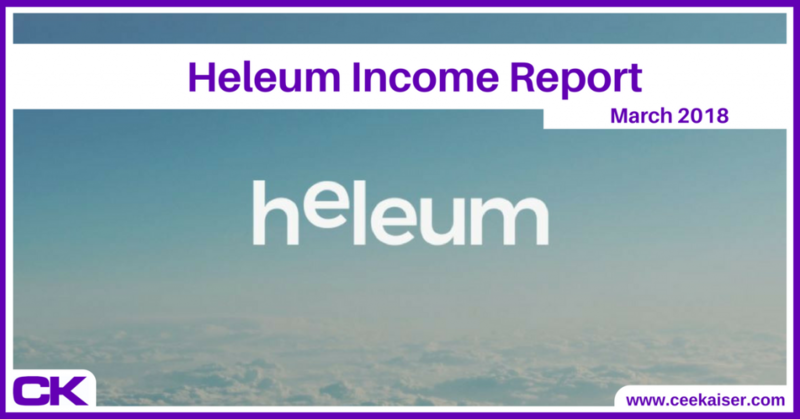 To crunch numbers: On March 1, I had 1,635 USD dollars floating around in Heleum’s balloons. 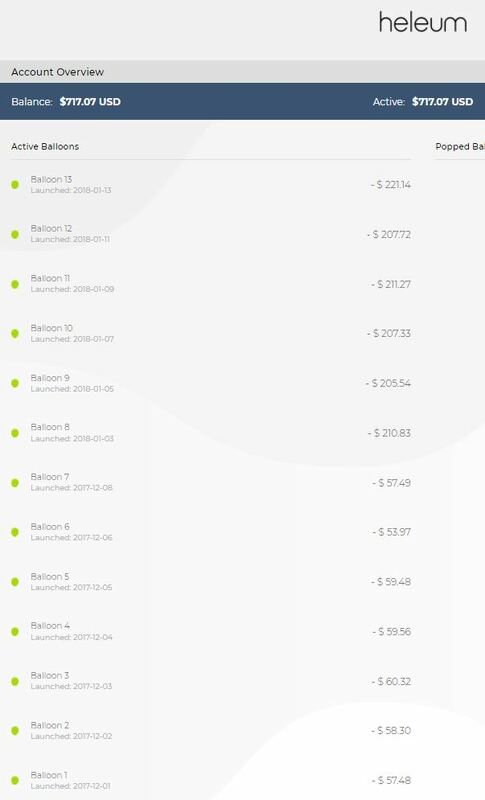 On March 27, these were down to 856 USD. Almost half. Even worse, on April 3 this had further decreased to 717 USD. That’s a loss of 53%! Heleum Account Overview on April 3, 2018. Despite March being such a bad month (or maybe because it being so negative?) I’m optimistic for April. On the one hand, because the founding team promised to release Heleum’s version 2.0 soon, improving the current main flaw of clinging to cryptos at all cost. On the other hand, as I believe in cryptocurrencies having a future, hence their value needs to bounce back at some stage. Let’s see how April develops. I’ll keep you updated – just sign up to Thursday Thoughts, my bi-weekly newsletter, to stay in the loop on all the latest developments.